If this year you fancy making a bit of a change to your home and having some fun with the space, one of the things which you can think of doing could be to play around with your garage. If you are currently not using the garage to house a car, you could be missing out on some amazing opportunities and ways to utilise this space. Today we are going to have a look at some of the different things you can do to the garage this year to avoid wasting the space. Let’s get the boring and practical option out of the way with first. The most obvious way to use a garage and make it feel like a useful part of the home is to have your washing machine and dryer in here along with cleaning materials, car washing items and tools. A utility room might not be an exciting way to use a room but it is a useful one and you can even hang maidens in the room to allow more delicate clothing to air dry instead of going into the dryer. One of the more fun ways that you can pimp up the garage this year with the kids is to create a lovely play area for them to enjoy on a rainy day. You can go pretty simple with this room and add in a table tennis table, beanbags and a game console… or you can go a little more ambitious. One of the fun ideas you can have which will be epic for the kids is to install a slide in the house. It will be epic and a little crazy perhaps, but it can be such a fun element to pimp up this playroom. You can also buy ball pit balls online and a large pool to place underneath the slide on the way down. Other than this you can bring some elements like a mini fridge with some snacks and drinks, some tabletop games and other puzzles. Basically, you can let out your inner child and create the place you always dreamed of when you were young. And the bonus is that you can play in here yourself without being judged by other parents! If you work from home and you are looking for a better solution for you office this year, it can be a lot easier for you to create a separate part of the house which is just for your work. An office at home can sometimes be a little bit distracting because when we are at home we will see chores and jobs which need to be done, and a lot of the time we will end up doing chores around the house more than actually working. By building an office in your garage and locking the door you will be away from the rest of the house and this can be a helpful way for you to concentrate during the day. If you are looking to get into fitness a little bit more this year and you want to motivate yourself to workout every day you can invest in some second hand gym equipment and create a home workout space for you and your family. This can be a great idea because it will allow you to not feel self conscious at working out in front of other people, and you will never have to worry about waiting to use a machine during your session. With concrete walls and floors, bright LED lights and a TV you can have the ideal home gym to use every day. If you are an avid gardener and you are looking into growing your own produce this year, one of the places you can do this is in the garage. You can install skylights and windows to bring natural light to the room and heaters to bring an optimum temperature for germination. It is a good idea to also have an Outdoor Trash or Recycle Cart Garage to store any of your old vegetables and fruit to make into compost which you can use for your produce the next season. If you love to play the guitar, paint or perhaps create sculptures as a hobby it can be a good idea to have a room to dedicate to this. 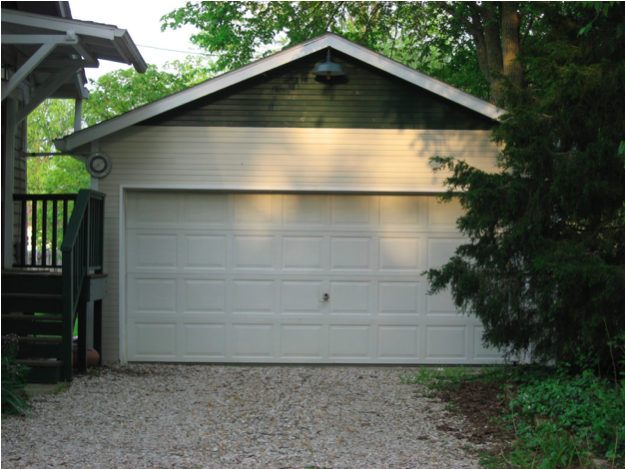 A garage can be the ideal space in the house to use for whatever hobby you want without it taking up all of the space you have in your main living space.